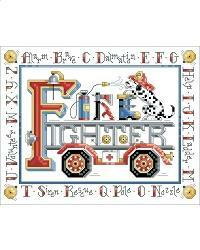 A quick sampler for all those boys who want to be firefighters as well as those who do the job every day. Alphabet describes all things fire fighting related. Project Size: 9w x 7h"